The dilemma of growth vs the environment is becoming more acute for China and other BRIC nations. In 2009, a series of remarkable images appeared on the Internet and in public spaces in China. From a distance, they looked like the sweeping landscapes of traditional Chinese nature paintings. On closer inspection, though, they revealed something very interesting indeed. What appeared to be everyday images of mountains and hillocks were actually pieced together from miniature images of construction cranes, antenna towers and high-rise buildings. The inky backdrop, meanwhile, initially evocative of the traditional Taoist style, was actually showing clouds of pollution. The point of the illustrations, the handiwork of the non-government China Environmental Protection Foundation, was to raise awareness of environmental issues in China. But the group is far from alone in recognizing such challenges. In its latest Five-Year Plan, the Chinese government explicitly identified environmental protection as a key objective of national policy. It’s a lead that other fast-emerging economic giants – and especially the so-called BRIC nations – should follow. After all, with their huge populations, remarkable growth rates, and increasingly influential positions in global politics, the future of the global environment will depend largely on the decisions they make. The concept of the BRICs (Brazil, Russia, India and China) is now common currency in discussions about global finance and development. And, building on the momentum of the concept, BRIC leaders have begun to hold regular summits to deliberate on common challenges. By mid-century, the BRICs will, with the European Union and the United States, make up the six largest economies in the world. At the same time – and much less noted in the international media – is how the economies of the BRICs will drive many of the global environmental changes in the coming decades. In 2008, the four BRIC economies accounted for over one-third of global carbon emissions, not counting the emissions caused by deforestation and other environmentally unfriendly land use. When those dimensions are factored in, the picture looks even more ominous. In Brazil, unsustainable land use practices produced 75 percent of total emissions, with deforestation lowering the country’s stock of stored carbon by 6 billion metric tons. With the exception of Russia, the rapid rise of the BRIC economies has been driven by a breakneck pace of industrialization. As Nobel laureate Michael Spence has noted, the current era of economic growth is occurring in “the third century of the Industrial Revolution.” Like the modernization of Europe and the United States during the 19th century, economic development in Brazil, India, and China has been powered by the prodigious use of fossil fuels. The soot-stained streets and acrid smog that characterized Dickensian London have contemporary equivalents in industrial cities across emerging economies. According to the International Energy Agency, coal use will more than double in India and China by 2050. Indeed, some estimates suggest that over the coming 20 years, the two Asian giants will account for more than 80 percent of world coal demand. Oil and Petroleum, other essential drivers of economic activity, are both heavily imported and exported within the BRICs. India and China’s demand for oil is expected to increase nearly fourfold by 2030. Russia and Brazil, meanwhile, also depend on oil, but as producers. Russia currently produces more oil than any other country in the world apart from Saudi Arabia, and Russian economic stability rests largely on oil and other extractive industries. Brazil, for its part, recently discovered several of the largest untapped oil fields in decades just offshore and within its territorial waters. By 2020, the country’s oil output could be as high as five million barrels a day. The dual role of oil among the BRIC states – as both a resource in high demand for development purposes and a highly valuable export commodity – ensures that fossil fuels will inevitably play a major part in the global economy for years to come. But the continued use of fossil fuels, and the climate change that this contributes to, has significant social consequences, especially for much of the developing world. The Indian Council for Agricultural Research, for example, has estimated that wheat production will decrease by 4 to 5 million tons for every 1° Celsius increase in average temperature. In a country whose population is expected to increase by 300 million people in the coming 20 years, and when the best estimates of climate models project an increase in average temperature of up to 4° Celsius by century’s end, the ramifications are clear. The four BRIC countries account for a quarter of the planet’s total land surface and 40 percent of the world’s population. However, the frenetic pace of development has caused unprecedented changes to the biodiversity and ecosystems of these nations. Aside from their contributions to climatic change, industrialization and urbanization damage native ecosystems through pollution, habitat destruction and rampant biodiversity loss. In the course of the past 40 years, nearly one-fifth of the Amazon rainforest has been deforested. Current trends of destruction show little indication of abating. The negative ‘externalities’ of growth also affect the unique natural environments of the other BRIC nations. China and India boast an array of ecosystems that span 40 degrees of latitude, from the Taiga of Manchuria to the rainforests of the Western Ghats. In these two countries alone, four of the six existing subspecies of tiger are found. The danger of continued biodiversity loss in the BRICs is a significant threat to the ecology of the entire planet. In the current catalogue of the world’s 34 biodiversity hotspots – those biological regions that have the most pressing combination of rich diversity of endemic species and heightened threat of degradation – eight are within the BRIC countries. As ecosystems collapse and species disappear, so too will many important environmental processes such as erosion prevention, crop pollination, and microclimate regulation. The scale of the challenge, then, is clear. But will the BRICs respond? There are some encouraging signs that they will. China is already taking a lead in green technologies and innovation through massive public investment, while also engaging in extensive reforestation. These efforts have met with considerable success, producing a 2.99 percent annual gain of forest coverage in the decade since 2000. Brazil, for its part, has begun to enact more stringent legislation and pursue better enforcement to curb deforestation, both legal and illegal. And Russia, in a gesture that is perhaps as important symbolically as ecologically, recently hosted a ‘Tiger Summit’ attended by 13 countries, pledging to double the population of wild tigers by 2020. However, the BRICs must also recognize that many environmental problems are obstinately transnational. As the economic clout of the BRICs expands, their role at the high table of international diplomacy will become increasingly important. However, while their economies are large, many of their people remain relatively poor. Because the BRICs are, in a sense, both developing and developed nations, they are left in a bind when trying to balance the needs of their populations with environmental sustainability. This reality has already become a major source of friction between the BRICs and the developed economies of the G7. By dint of some having industrialized nearly two centuries earlier, developed economies are still responsible for the majority of the carbon that is currently in the atmosphere. To the BRICs and other emerging economies, the West’s admonitions to the developing world to curb fossil fuel consumption after they’ve already taken the low hanging fruits of development smack of hypocrisy. Until this sticking point is overcome, perhaps in the form of an international “grand bargain” involving technological exchanges and economic incentives, a credible solution to climate change will be difficult to secure. 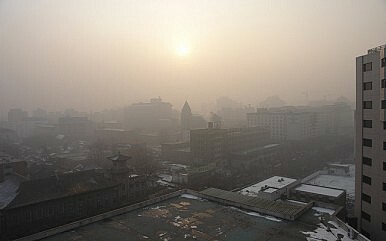 Still, the environmental challenges facing China, India, Russia, and Brazil may be daunting, but they’re not insurmountable. The expediency demonstrated at the G-20 meetings in the aftermath of the 2008 financial crisis underscored the potential for collective global action. The remarkable modernization of the BRICs has, in the course of a generation, lifted hundreds of millions from the ranks of poverty. It will be interesting now to see if their leaders have the foresight to apply the same effort and deliberation to protecting the environment. Tong Wu is an environmental policy analyst and researcher at the University of California, Berkeley. He would like to thank Dr. Jianguo Wu for his insightful comments and edits on a previous draft of this article. How can Sino-Brazilian relations be strengthened for the benefit of Brazilian society?